We had a very nice meeting this week talking about many super exciting and important fancy things! Next Meeting's date is TBA - As scheduled it would be December 26th at 6:30pm at Maker Works. Since that date might be a challenge for those going out of town for Christmas, Brenda is going to ask Maker Works if they have dates available the week preceding that. For the next meeting, please bring your Round Robin blocks if you feel like participating. You can join in at anytime! Bring an orphan block you might having around the house and it'll be folded into our ongoing, rotating "bee." 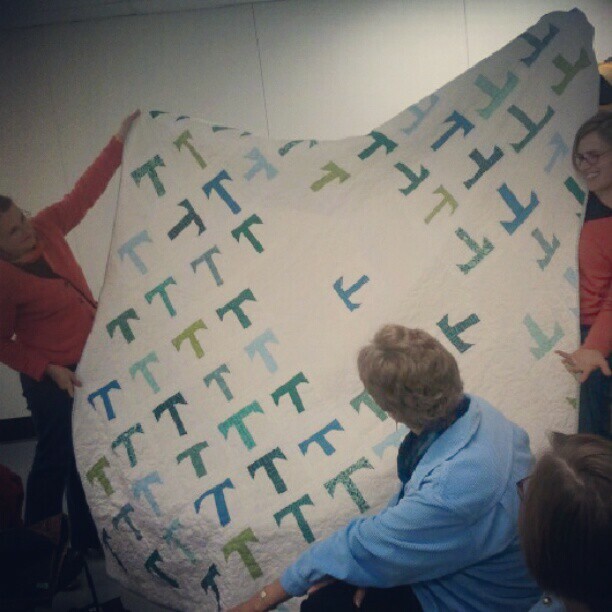 QuiltCon: The deadline is … ahem… TOMORROW (11/30/2012) at midnight CST time for submitting your quilts. If you would still like to attend QuiltCon, feel free to contact Brenda since she may have space in her reserved hotel rooms for you! Pink Castle Fabrics is getting close to securing a real brick-and-mortar space within the MakerWorks industrial village. The guild is excited about having this possible location for future meetings, sew-ins, and classes. The Quilt Sale happened in November! Although sales for quilts were a bit lower than desired, a nice time was had by all. There was a lot of discussion regarding what worked, what could've been improved upon, and what we might like to do in the future. No definitive plans were made. Modern Quilt Guild Madrona Road Quilt Challenge: the mothership has announced that there will be a new Guild-wide challenge that will center around the fabric line Madrona Road. More details will be posted by the MQG on December 1st. We are listed to participate. Elections! Budgets! Becoming a Non-Profit! Dues! At the January meeting we will be electing board members and committee chairs. If you would like more information please email Debbie or Brenda. If you are interested in being considered for any of these positions, please email Debbie or Brenda. Your name will be put on the ballot for the January meeting. Deadline for declaring your interest is December 20th. Special note: If you are interested in becoming the Treasurer, you will be responsible for proposing a budget at the February meeting with a recommendation for our membership dues. At the February meeting we will then vote on our membership dues. 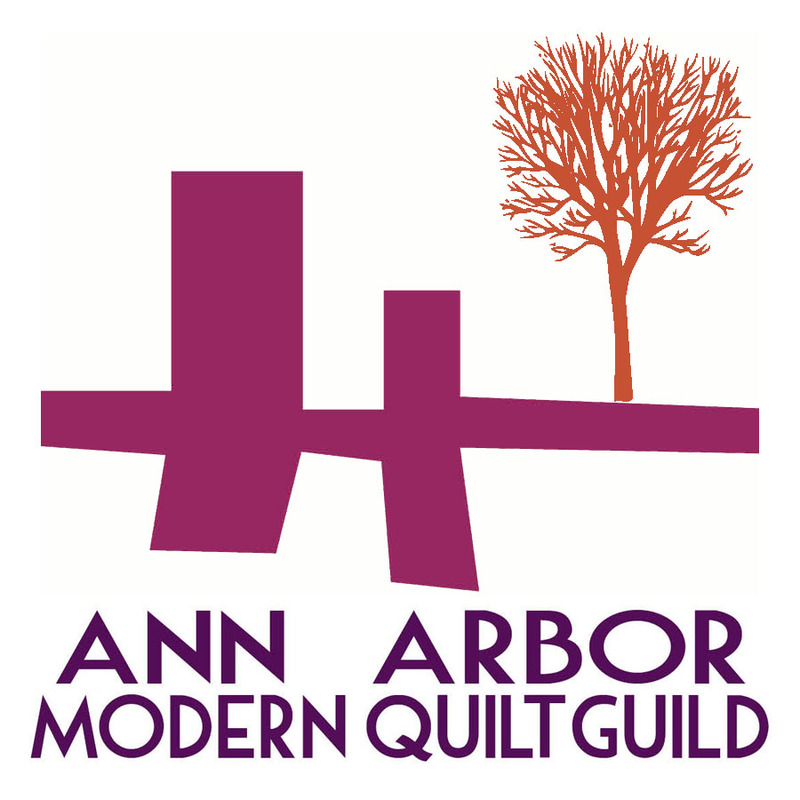 The Ann Arbor Modern Quilt Guild has a meeting tomorrow night (11/28/2012) at 6:30pm at Maker Works. If you are participating in the Round Robin, bring your blocks back to pass.